**GATED COMMUNITY****LOW HOA****BUILT IN 2013****FULLY FENCED BACKYARD** **OPEN FLOOR PLAN****NO CARPET - TILE THROUGHOUT****HOT TUB** This home sits on an nice sized lot that is fully fenced in the beautiful gated community of Sereno.The home features an open floor plan with TONS of windows, natural light, High Ceilings throughout and beautiful upgraded wood like tile flooring throughout -- NO CARPET!The large open kitchen features TONS of cabinets & countertop space, a large center island, large pantry and Stainless Steel Appliances...ALL APPLIANCES STAY!The large kitchen overlooks the bright and spacious living room which is perfect for entertaining.Through the Sliding Doors you have a screened in Patio and a Hot Tub overlooking the backyard oasis with beautiful palm trees.The second floor, you have the bedrooms, including the master bedroom, large master bath with a garden tub and separate shower. Laundry is also on the second floor for your convenience.2" faux-wood blinds, Gutters,GE Avante Water Softener & FILTRATION SYSTEM,Separate Masterbedroom Split a/c unit, Programmable Lighting timers,Brand New Garage Door Opener..AND MUCH MORE.Brand new Publix plaza under construction within 2 minutes, Only 8 minutes to I-4 and the up and coming downtown ChampionsGate area, where there are a variety of shops and restaurants, short commute to Disney theme parks, golfing, and approximately 30 minute commute to Orlando International Airport. SchoolsClick map icons below to view information for schools near 1799 Sereno Drive Davenport, FL 33896. MFRMLS data last updated at April 20, 2019 9:20:57 AM PST. Home for sale at 1799 Sereno Drive Davenport, FL 33896. Description: The home at 1799 Sereno Drive Davenport, FL 33896 with the MLS Number O5763374 is currently listed at $250,000 and has been on the Davenport market for 67 days. 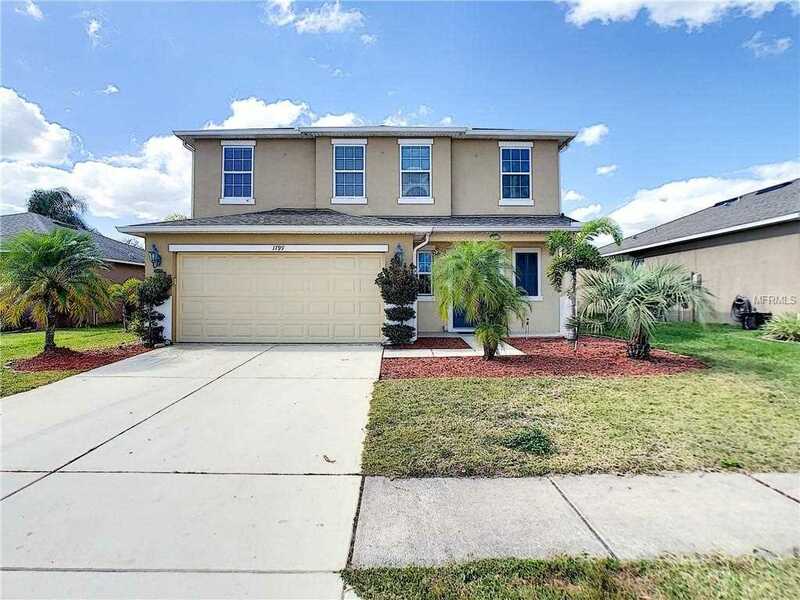 You are viewing the MLS property details of the home for sale at 1799 Sereno Drive Davenport, FL 33896, which is located in the Sereno Ph 1 Un 1 subdivision, includes 4 bedrooms and 3 bathrooms, and has approximately 2206 sq.ft. of living area.